Karen Burgess is CEO and executive director of the Michigan Dental Association. A recent guest commentary advocated for the creation of dental therapists in Michigan. However, the commentary did not include information that shows dental therapists have had a positive and successful impact on addressing the barriers to dental care. Michigan has been very proactive in coming up with solutions to get people more care. Just this year, the Healthy Kids Dental program was expanded to all Michigan counties so that children ages 0-21 will now be covered by the program. Healthy Kids Dental has been proven to be very successful in increasing access to care. According to a report by the Child Health Evaluation and Research (CHEAR) Unit at the University of Michigan, the Healthy Kids Dental program has significantly increased utilization of dental care by underserved children. The program is working and the data shows it. Under the traditional fee-for-service Medicaid program about 46 percent of children received care where as under Healthy Kids Dental the number increases to 61 percent (and that number continues to improve). For purposes of comparison, for children with private dental benefits the utilization rate is about 70 percent. In fact, several programs serving Medicaid-eligible children throughout Michigan report decreases in the number of children being treated by their programs. The only reason they can determine why this is happening is that children are finding a dental home due to Healthy Kids Dental. The dental therapist program proposed in Senate Bill 1013 is based on a program that exists in Minnesota, but the Minnesota program has not been shown to be successful. Since the law creating dental therapists passed in 2009, only 54 dental therapists have entered the workforce. Additionally, when the law passed proponents claimed that it would get providers into underserved rural areas. In fact, in the seven years since their creation, only seven dental therapists have gone into rural areas. The rest have gone into urban areas where they can make more money. A recent study by the American Dental Association’s Health Policy Institute shows that in Michigan, 35 percent of low-income people report they have trouble finding a dentist. According to the same study, 44 percent of low-income people in Minnesota say they have trouble finding a dentist. Minnesota has had a dental therapist program since 2009. Michigan is doing a better job, and there is no reason to think a dental therapist would have a positive impact. 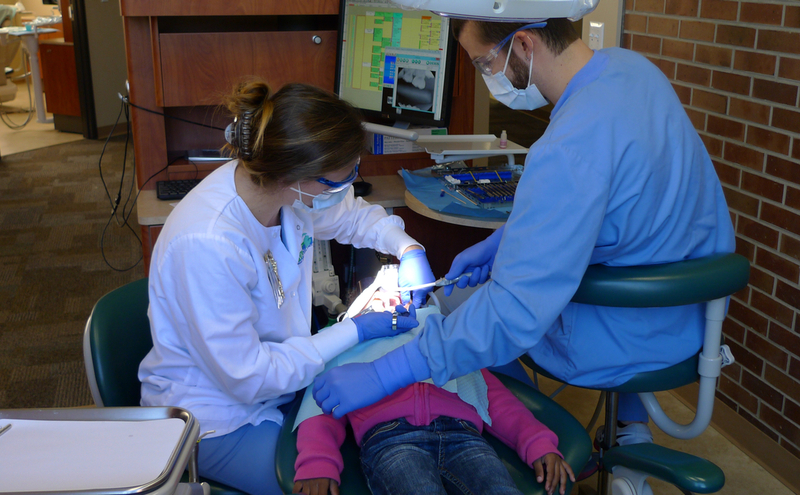 A better way to help is to improve utilization of Michigan’s existing dental workforce. Currently there are 7,500 dentists, 10,300 registered dental hygienists and 1,700 dental assistants. Of the 10,300 hygienists, over half are unemployed or underemployed. In addition, many dentists say that they could see more patients than they currently are seeing. It doesn’t make sense to add another provider when there is so much unutilized capacity. The Michigan Dental Association (MDA) supports common-sense solutions with a better chance of helping fix the access problem than programs not proven to work. That is why the MDA is working with Sen. Pete MacGregor to introduce a bill that would allow individual dentists to send hygienists into underserved areas to provide hygiene services. If follow-up care is needed, the patient would be referred to the dentist who sent in the hygienist. One of the many concerns with the dental therapist model is that it sends people who have much less training than a dentist (i.e. the dental therapist) to treat a population with the most complex dental and medical problems. Keep in mind, the dental therapist would be able to perform irreversible procedures that only the most trained providers should perform, such as extractions and drilling teeth. The underserved should have access to the same quality care as people with insurance or who pay out of pocket. The danger with the dental therapist model is that it will create two standards of care: Those who can afford to see a dentist will enjoy the current high level of dental care, but those who cannot would receive irreversible procedures by a lesser trained dental therapist. The MDA welcomes discussion on ideas to improve access to care, but it is important to look at the facts and put forward ideas that will work. Thank you for the insight. As the daughter of one of the first hygienists in Detroit, the importance of dental hygiene cannot be stressed enough. My mother had a hard time getting work when she came here from University of Marquette. When the acceptance changed so did the job availability. Keep up the good work for our underserved citizens MDA! The author should indicate how the estimates of the number of underemployed/unemployed dental hygenists are derived. The Bureau of Labor Statistics web site indicates that this is a fast growing job category: http://www.bls.gov/ooh/healthcare/dental-hygienists.htm. The median salary of dentists is $158,310; that of hygenists is $72,330. No profession is eager for more competition, so the argument of the author is understandable. Where you stand depends on where you sit. My uninformed view is that many dentists simply don't want to deal with the challenges of serving poor patients (especially adults) and dealing with the paperwork. My public spirited dentist said that over his career he'd done more than his fair share of serving this patient population but that he'd moved on. Why not conduct a survey and ask dentists who do not serve Medicaid patients why they don't. That's a direct way of determining the cause of the problem. Hygenists make $72,330? Wow, I know a few hygienists, one who has been working for nearly 30 years and she has never made anything close to that here in the metro Detroit area! Maybe she has been working for the wrong dentist the last 18 years. I know dental health needs to be taught to our families and we need to stress that at pediatric visits, preschools and communities. I see far too many preschoolers with fillings and yes crowns! Unfortunately there are also dentists out there trying to make a buck filling baby teeth that don't need fillings. I discovered this by accident. We went to one of those corprate dental places because our dentist wasn't taking our current insurance. That place told us my child had ELEVEN cavities! She had been to the dentist 6 months ago. I was appalled, and We just didn't see the evidence. We got a second opinion. She had ONE, very small cavity just starting. . Yes, they are still doing a booming business. Who is the oversight for these dentists? Parents need education. How many don't teach children to brush and floss properly, supervise it, take kids to visits and know what a cavity looks like and doesn't look like on an x-ray? Our dentist and hygienist taught those things and our kids were " brushing teeth" before they had teeth. I've read the parochial arguments on both sides of this proposed legislation, including discussion here on both sides of the initiative. Unfortunately, the discussions to date are subjective and tainted by opinion, preference, and viewpoint bias. For example, the closing statement in this article, "...those who can afford to see a dentist will enjoy the current high level of dental care, but those who cannot would receive irreversible procedures by a lesser trained dental therapist..." presumes that 1.) all dentists currently provide high levels of dental care to each patient; 2.) in a way that a dental therapist is incapable; or that 3.) individuals would preferentially seek the services of a dentist over a dental therapist, in the context of routine dental care; under 3.) the presumption socio-economic partitioning. It would be better if a meaningful evaluation was conducted by independent researchers, where a presentation of the facts could help inform legislative and licensing opinion. In addition, I believe that 7 dental therapy practitioners working in currently under-served areas is a GREAT start....improving lives, one mouth at a time. It reflects a certain elitist arrogance to disparage improvements in health care delivery, regardless how small....unless of course, it is all about the money. As the executive director of Children’s Dental Services, a nonprofit organization and primary provider of dental care to low-income children throughout Minnesota and as the employer of 5 dental therapists, I was disappointed to read claims that Minnesota’s dental therapy program has not been successful. In fact, I can personally attest to the high quality of dental care dental therapists provide to our children, the crucial role they play as part of the dental team, and the impact they have had in increasing access to dental care for recent immigrants, low-income children, rural communities and other people that have difficulty accessing the dental system. Under the general supervision of our dentists, the dental therapists have helped provide the most commonly needed dental procedures to thousands of children throughout the urban and rural areas in our state. This has resulted in more kids getting the dental care they desperately need and has led to a more productive dental team, as our dentists are now able to spend their time on the more complex cases. Since Children’s Dental Services was founded in 1919, it has been dedicated to improving the oral health of children by providing accessible treatment and education to our diverse community. Dental therapists help make our mission a reality. It is unfortunate that the special interest groups are trying hard to promote the idea that Michigan does not need ‘Dental Therapy’ programs. Of-course the fear of the unknown and competition is always an incentive for those already in the business or profession to keep others out. The groups from Minnesota have given enough statistics to show that the program works but unfortunately, our Dental Schools and Dental Association doesn’t want to hear about it. Dominican International Institute (www.dominicaninternationalinstitute.org), a small vocational/career college in Macomb County, which offers programs in physical therapy, Recreational Therapy, Massage Therapy, etc. has been trying to set up ‘Dental Therapy’ program for years. We have dozens of potential students who would like to enter this profession, but the effective lobbying of Dental professionals is indeed powerful. There may be other institutions interested in promoting this program. We urge the legislators and the community activists to begin lobbying and at least allow offering Dental Therapy programs immediately. The underserved communities want and need such a profession, not just in rural areas but also urban areas. In spite of all the talk and programs, Michiganders are suffering from lack of proper dental care and we all know it.